The website's appearance is not as fancy as many of those online dating websites. It is built to cater to those with slower Internet connections outside the city, according to Jerry Miller, the site's marketing executive. He told Yahoo News that many of the singles are lonely because they live in rural communities where they know everyone in town. 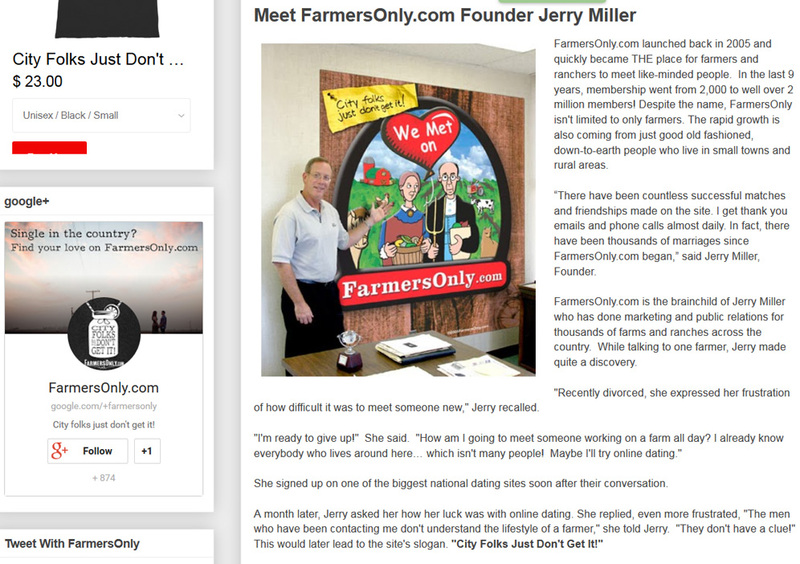 Farmers Only has been reported as having over 200,000 members. This makes it easy for someone to make a connection with someone he or she doesn't know. When one visits the site, he or she is greeted with a single quality image and short boxes to fill out. Members are asked for their email address, zip code, who they are seeking, and age. Both heterosexual and homosexual relationships are welcomed. Once information is complete, right away the search begins. The immediate request for an email address might be a put off for some, because you are not able to browse unless you put your email address in the box provided. While you're on the site, you might want to take the time to check out the material at the bottom of the front page such as the Farmers Only blog as well as the Terms and Conditions. The blog will give you a feel of the kind of people who are on the site before you register. In addition, check out the news section to learn more about the company. Like with most dating websites, what you will notice in the terms and conditions is the material that is uploaded to the site becomes the property of the company, so even if you should delete your account, Farmers Only can use your material how they deem fit. Check out the Use of Information and Member Content sections too. For those who just want to get a feel for the dating site, you can browse for free. You can send and receive fun alerts letting others know of your interest, but you won't be able to send e-mail unless you are a paying member. Farmers Only has a "Who's Online Now" feature where you can cut down your time browsing and view those individuals who are currently online. 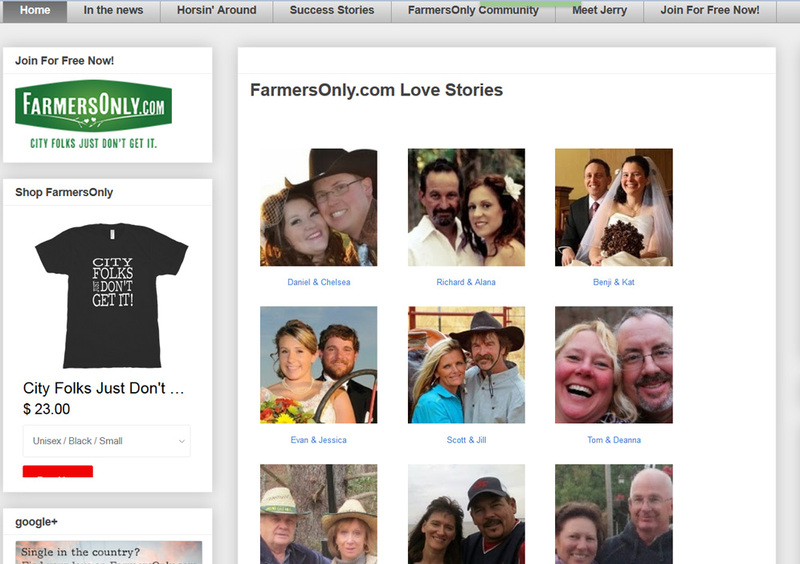 You will notice Farmers Only members aren't required to complete their profiles which is a disappointment for some. One member complained about people not filling out the essay part so she doesn't have a clue as to what these individuals want in a mate. Also, the gap between the age preference is far too wide. Many members simply indicate they want someone between the ages of 18-60. A member said those she met offline were players. As for upgrading your plan, the premium plan is good as long as you are sending messages to other paying members, but using the free version will not allow a user to receive a message from a potential interest. There are various membership plans to choose. Visit the site for present pricing information. Farmers Only does auto-renew memberships and will not refund if you don't cancel before the payment is withdrawn from your account which is a drawback for some. One member suggested getting a pre-paid debit card before you sign up. As for the quality of the dating pool, well for some, it is hard to tell since some don't know how to upload photos or don't bother to for any number of reasons. In the past, Miller had to conduct training for members, because they lived in rural areas and weren't Internet savvy, according to an article about the company. If one chooses this site, he or she might be lucky dating people for fun, but if you are looking for a serious commitment, there is that possibility since some have met a match, but don't count on it.